Ahmedabad's TransStadia is one of the finest stadiums in India and is set to host world events. It has already been the venue for Kabaddi World Cup and Asian Cup Table Tennis. The 20,000-seater football stadium at TransStadia. A dream in 2009 turned into reality this year, thanks to the vision of Prime Minister Narendra Modi, Gujarat government and Udit Sheth. 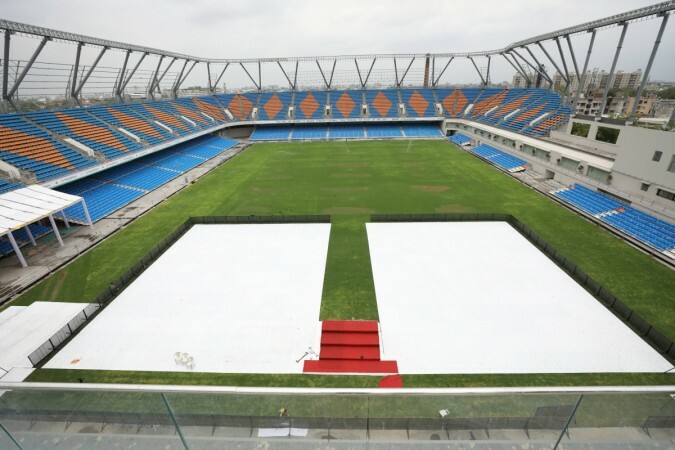 The dream eight years ago was to build a state-of-the-art sports infrastructure in the heart of Ahmedabad and in June 2017 it was thrown open to the world when Modi inaugurated the multi-purpose TransStadia in Maninagar. TransStadia is one-of-a-kind stadium in India built on PPP (Public Private Partnership). It has everything under one roof. Not only it is a playing arena, both indoor, outdoor but also boasts a sports science centre and is set to revolutionise sportainment in the country. The venue has already hosted a Kabaddi World Cup 2016, Asian Cup Table Tennis 2017, Pro Kabaddi League 2017 and other major events. Ask Sheth about how this idea was germinated, he takes us back to 2009 when he got the concept from stadiologist and former footballer Paul Fletcher. "It was in 2009. I got this thought process from a board director of ours in the UK - Paul Fletcher," Sheth, Founder and Managing Director, SE TransStadia Pvt Ltd, said. He continued, "Paul is a stadiologist. He spent 40 years in football business, 20 years as a player. Paul has been managing clubs and stadiums post his football career. He realised that there is this prime property in the middle of the city which is not utilised except from that one game happens once a week. "So he invented some technological upgrades and one of them we have implemented here which is 'StadiArena' with the drop down doors. We have also brought in our own pattern of retractable seating, the turf protector. "The whole thought process was, if this can happen in UK then in a country like ours which has four times the population of America and 1/3 land mass surely this will work very well in India." Udit Sheth, Founder and Managing Director, SE TransStadia Pvt Ltd.
TransStadia is built on "StadiArena" technology with other modifications. With this concept, Sheth contacted Modi, who was the then Chief Minister of Gujarat and he was quick to give a go-ahead for this. "I wrote a letter to the chief minister and that time Narendra (Modi) bhai was very excited and said 'let us do this'. This happened to be his constituency (Maninagar) when he was CM. This place was a dairy. It was a defunct dairy. We broke it down and we put this complex up," he revealed. "When I spoke to Modiji about this project I told him Gujarat is ranked number one in everything including sports, but from the bottom. When I told him, this hard fact hit him. He said 'we have got to do something'. We have worked together. The state government has been involved very closely in this project." The reason why Sheth chose Ahmedabad was the positive response he got from the state government. "A lot of people will ask why Ahmedabad? Why not Mumbai or Bangalore. Simple thing was that the government was forward looking and had a vision. When I started this project Gujarat was 28th in sports and now the state is ranked number six nationally. The budget for sports in Gujarat has gone from Rs 35 crore per annum to Rs 350 crore," he said. It is not only hosting events at TransStadia, the association with the Gujarat government has resulted in identifying and nurturing young talent. Already, more the 30,000 kids have been tested. "We have tested more than 30,000 kids in Gujarat, across rural parts of the state, here. We pick talent and put them in district level sports. We have done the same in Rajasthan and Karnataka. This model is new but is working fantastic," according to Sheth. "My topline revenue share, I put it in escrow account with the Gujarat government's sports department. And we have invested in talent identification and development. In true sense it is PPP," Sheth said. Talking about sports science centre, he explained, "Sports Science Centre is the most integral part of what we are doing. In one complex we can assess anybody. We can tell you what you need to do to become an athlete or how to achieve your goals. We will do your strength and conditioning here, training here and put you in competitions here. And we can build an athlete out of it." Now, Sheth wants more world events at TransStadia. "Our objective is that world events come to Gujarat so that it is not only training and development but excitement (of watching world events at home). When World Cup (kabaddi) came to Gujarat the state had never tasted a world event," he said. 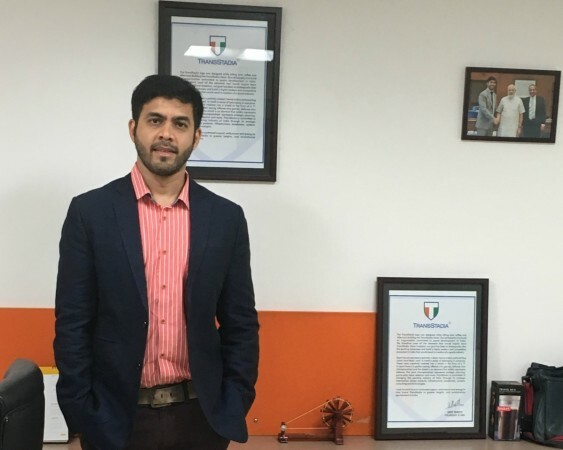 "This is India's go-to destination for modernising sport, strength and conditioning, recovery and rehab," said Dr H. Sreedhar, Director - Technical, TransStadia Sports Science. In the years to come, TransStadia is set to put not only Gujarat but India on the world sports map.